Based in a small village in the northeast of Italy, called Talmassons (Udine), CDA is a company that has been installing and managing vending machines for catering and food supply services since 1976. Operating exclusively in the north-east has represented an actual choice for our company: we believe in the enhancement of our resources, considering it an added value. It is vital for our company to recognise and value those who determine the success of CDA, namely our human resources. "People at the core, the environment all around": that' s the manifesto from which the concept that marks us out as "a natural choice" was born. Everything is optimized in respect of nature and human resources used every day. The coffee break takes a few minutes, but the environmental effects of the waste produced during that refreshment period can last for years. CDA has transformed this problem into one of its most innovative projects. Our company has initiated projects for the recovery of coffee dregs— currently destined for undifferentiated collection — with the aim of facing up to two critical issues at the same time: the disposal of these in tons and the potential reuse of the organic matrix rich in quality recognised by various studies. These two projects will allow reusing the waste from the production of the coffee drink, saving on disposal, and generating something that is used again. This virtuous circle has additionally become an inspiration for other companies. CDA also believes this is an ethical choice, that permits to prevent the disposal of waste material that is no longer waste: coffee grounds continue having properties and could be re-used in other sectors. C.D.A. di Cattelan S.r.l. is a business that has operated since 1976 in the vending sector, managing and installing automatic distributors for the supply of food and drink. Over the years, the business has successfully distinguished itself in projects related to Corporate Social Responsibility, and the protection of the environment. Thanks to these actions, the company is one of the top hundred companies in Italy in the field of circular economy. As a result, CDA has started an innovative project to recover coffee grounds and reuse them as an energy source in pyrolytic stoves, which produce heat from biomass: the combustion residues, consisting of vegetable-based carbon, could then be used as a soil improver, turning coffee into an inexhaustible resource. The project’s biggest aim is to reuse coffee waste to save on disposal and produce something that can be used for other purposes. This project contributes to the circular economy system: the goal is to make coffee an unlimited resource. It allows not merely to reuse coffee production waste and to save on disposal, but additionally to reduce CO2 emissions and use coffee dregs to produce something new. No raw materials will be wasted thanks to this Circular Economy process. CDA discovered two possibilities of reusing coffee dregs. First, the reuse of those nutritive elements allows the production of soil improvers. Also, the waste can be transformed into a pellet that could permit to produce energy through this resource. In this way, CDA would like in the future to exploit these resources for the electricity supply of a biomass plant to partially heat the company. One of the strengths of this activity is its exportability: it has the opportunity to become an initiative that could be taken as a model for food service and public sector. – The creation of substrates for the production of edible mushrooms. – The stabilisation of funds with the effective microorganism and composting, an oxygen-free fermentation that transforms the coffee powder into fertile soil. The project has been awarded the first prize of the “Good Energy Award”, a significant recognition for companies that precisely target non-traditional markets and universally respecting the environment. 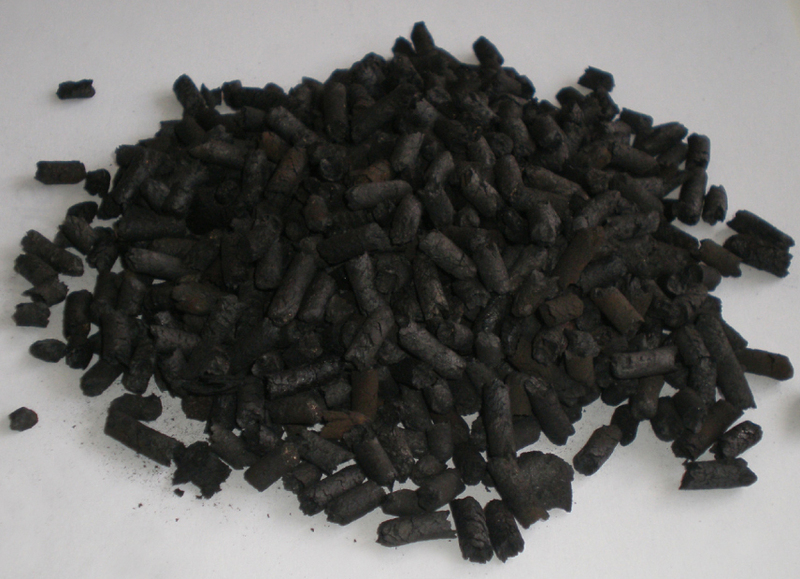 The calorific power of the coffee pellet is greater in comparison with the wood pellet. However, it seems challenging to realistically estimate a well-defined sales price of the coffee pellet since it does not exist in the market yet. The government procedure for the correct certification of pellets is a gradual and laborious process. Furthermore, it should be not assumed for sure that an effective quality recognition and the increase of the economic value of this resource within a reasonable time occurs. Another challenging problem is the desiccation of coffee dregs. To be transformed into pellets, the level of coffee dregs and the amount of moisture in the land must be adequately reduced. Indeed, the percentage of humidity present at the moment of the assortment must decrease from 70% up to 15%.